How many downloads has your app had? We’ll start with the simplest measure first. How many downloads your app has had can be a great way to define a successful app, particularly if a paid for download is going to part of your revenue stream. Even if your app is free to download, an understanding of the level of downloads can help to point you in the direction of whether your app idea is engaging or whether you need a better hook to grab users’ attention. While it is helpful to know how many downloads you have had it is by no means the only measure to consider. Indeed nearly 80% of the apps developed are used just once and are never opened again. How engaging is your app? Engagement in a successful app can be seen in the number of opens the app gets or how long the user spends browsing in the app. You could even consider retention to be a measure of engagement. That is how often a user returns to your app in a given timeframe. The timeframe you use will be individual to you. A shopping app, for example, may expect to see a user twice per year, or a fitness app might expect people to return multiple times per week. There are a number of app analytics tools available depending on which operating system you choose to develop on. Whether you’re looking for iOS app development or android app development (or both) for your project there are a number of ways to obtain data to help improve the marketing of your app. 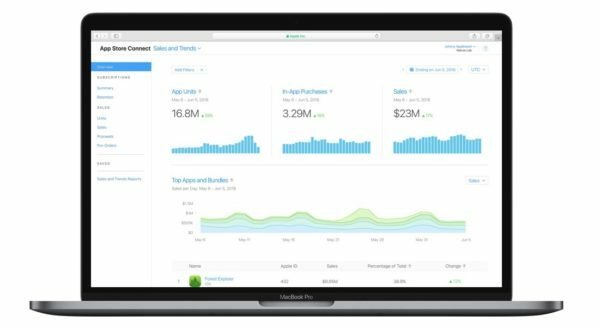 App Analytics is available in iTunes Connect with a valid developer account and a Sales, Finance or Admin user role. 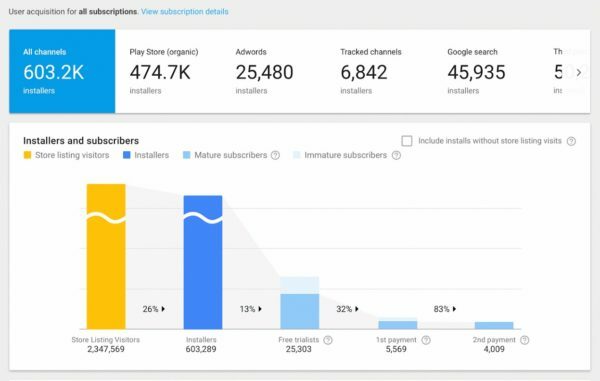 In here you can manage the number of downloads, installs, impressions (or views of your app), ad clicks, in-app purchases, crashes and many more important metrics to help you to manage your app successfully. The Google Play Store has its own version of this known as the “Google Play Console”. The Console not only allows you to publish your apps but to also track the success of them after launch. Similar to the App Analytics module for iOS, you can track installers, ad clicks, and crash rates. If you have a multichannel approach and have a website, iOS App, Android app or some combination of those you may find Google Analytics to be a good place to keep your cross-platform data for analysis. It will require some technical expertise to implement. You can keep your Android and iOS data within one interface to track user interactions, payments and revenue and demographic data. You can even see which countries your users are located in so you can decide whether you need to add translated content or localisation. As it is a Google product the UI design is very similar to the Google Play Console and shouldn’t be unfamiliar to anyone who has a web presence. If you want to create a successful app, you need to decide what success means to you. Is it users, reviews or revenue? Once you’ve established your KPIs you can then measure what matters, analyse your data and take steps to continually improve. At Atom Engine we know how to create successful apps. Contact us today to talk about your app idea.